Creating specific yet still flavorful recipes that speak to the unique taste preferences and dietary needs of our customers is important to us. Please place your order at LIBFOOD.COM and immediately after send an e-mail to: Order@libfood.com. Outline your custom order details and include your order number. Because of you, each Wednesday, Chef Hare and our culinary team designate an entire period to fulfill these custom orders. These orders are specifically prepared for you and are shipped the following Monday. Please note: Seafood orders may cost extra. If you are interested in our catering services, please email order@libfood.com with your preliminary request. A team member will contact you within two business days to discuss. Please note that we charge a non refundable fee of $100.00 to generate a catering quote. This fee will be subtracted from the total catering fee. My entire order arrived spoiled, what can I do to resolve this? Typically contents of a package spoil if in transit for several days. Our packages are guaranteed to be in transit for one to two days. Insurance covers anything longer than two days. If your package arrives with spoiled contents, please email us at order@libfood.com. If we find that your package was in transit for more than 48 hours, we will resend the package at no charge to you. I received my order receipt, but haven’t received a tracking number; when will I receive that? Please note that tracking numbers are emailed when the following occurs: 1) When your order has been processed by our kitchen and 2) When FEDEX scans your package upon picking it up from our facility. Can I have my meals delivered on Monday? Unfortunately, due to the perishable nature of our food, we do not ship on the weekends; therefore Monday deliveries are not possible. We ship Monday through Thursday to ensure delivery. FEDEX does not deliver on Sundays and we want to ensure your order is delivered to your satisfaction. Regular orders usually take 1-2 business days to process and ship. Custom orders typically take 3-5 days depending on the order. Please ensure you check with us and we will let you know exactly when to expect your food. Please keep in mind Saturdays and Sundays are not business days. We package your meals in polyurethane coolers or freezer bags to ensure freshness. When needed, we use frozen gel packs and dry ice for packages, which ensures a safe delivery. We use FEDEX Express and Ground. We charge a flat rate depending on your location. This can be determined once your address is added to the order. I’m traveling. Do you ship to hotels? Yes, we ship to hotels in the United States. Please submit your order 4-5 business days prior to your arrival. Please note your exact arrival date in the order notes section of your order. If the room is not under your name and is under the same of a spouse, mother, brother, etc. make sure you include that name as part of the shipping address. Hotels will not accept a package if the name on the package does not match the name on the reservation. Please also ensure the hotel is informed that you are expecting a package prior to your arrival. Do you ship overseas or to APOs? Unfortunately we do not ship overseas or to APOs. We apologize for any inconvenience. We ship to all 50 states and Puerto Rico. We love connecting with our customers. Feel free to connect with us and use hashtag #1800LIBFOOD. You can also visit our Contact Us page. 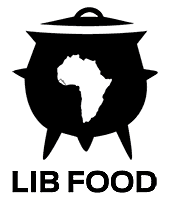 Can we visit the LIBFOOD.COM Kitchen? If you are in the Georgia area and would like to make a large purchase ($250+), we welcome the opportunity to visit our kitchen facility to pick up your order. Please note that our business is mail order and we are unable to accommodate dine in.